Abbey Church of the Palace of Holyroodhouse in Edinburgh was named after a piece of the "true cross" which was brought to Scotland by Princess Margaret, accompanied by William "the Seemly" Sinclair. 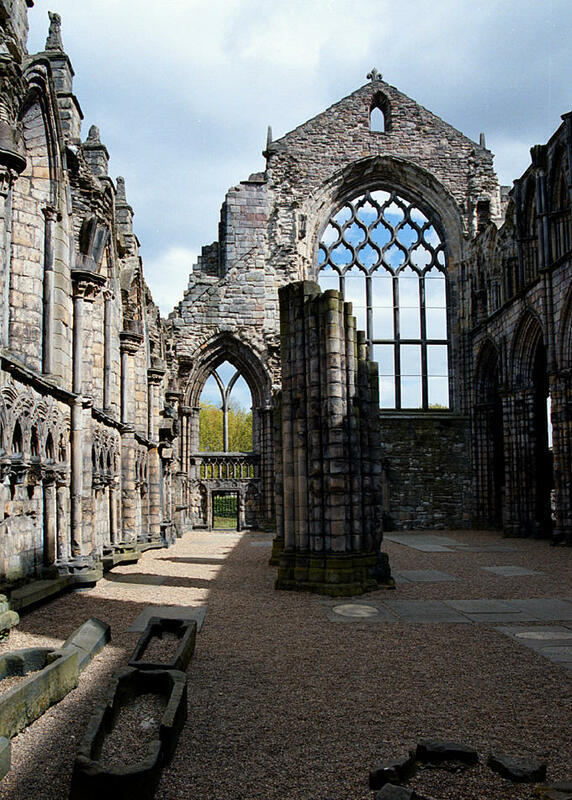 Andrew Sinclair, in his book "The Sword and the Grail," states Henry Sinclair, Third Lord of Roslin, "began the building of Holyrood Abbey and Holyrood House to house the precious relic brought from Hungary." At least seven or eight of the stones in the floor of the abbey are memorials to Sinclairs.